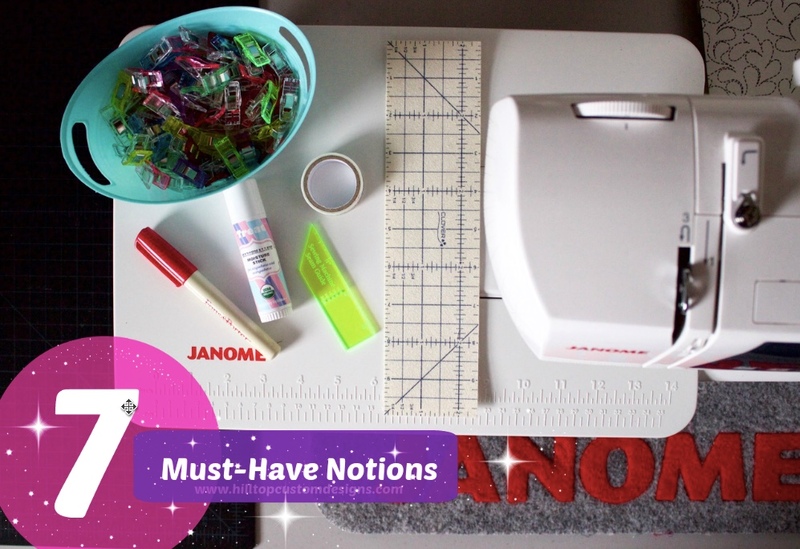 Today I'd like to share with you seven of my favorite sewing notions and tools - some of which are totally unexpected! I hope you'll have a look and let me know what your favorites are! Over the years I have found some things most would not consider a sewing notion, but I definitely do! Some of these items work for bag making, EPP, and quilting / general sewing. Keep reading to find out how I use them! I don't know about you but when I am doing hand sewing for long periods of time, wether it's EPP, appliqué or hand binding, my finger tips get dry and sore (yes, even with a thimble). 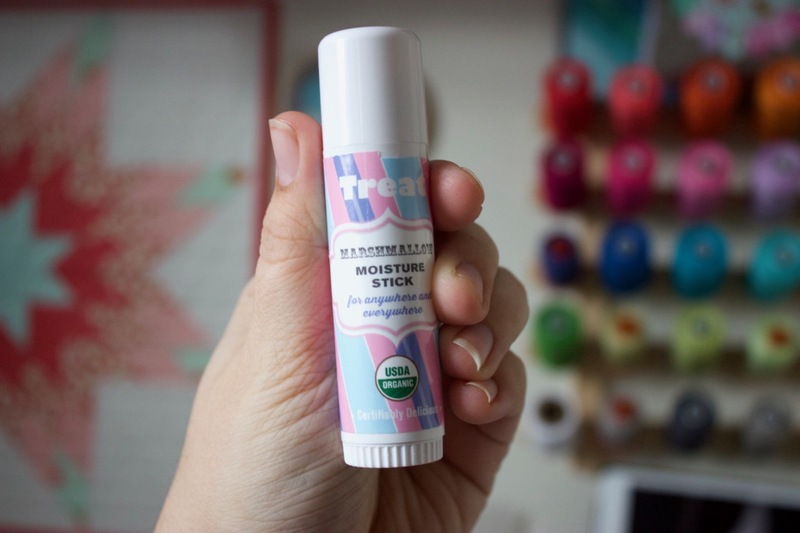 These Treat Beauty Jumbo Marshmallow Moisture Sticks are absolutely amazing! They can be used as lip balm, or put on fingertips, knuckles, elbows, under your eyes, etc. Anywhere that needs a bit of moisture can benefit from these sticks, and the best part is they are HUGE! You could even use them as thread conditioner! 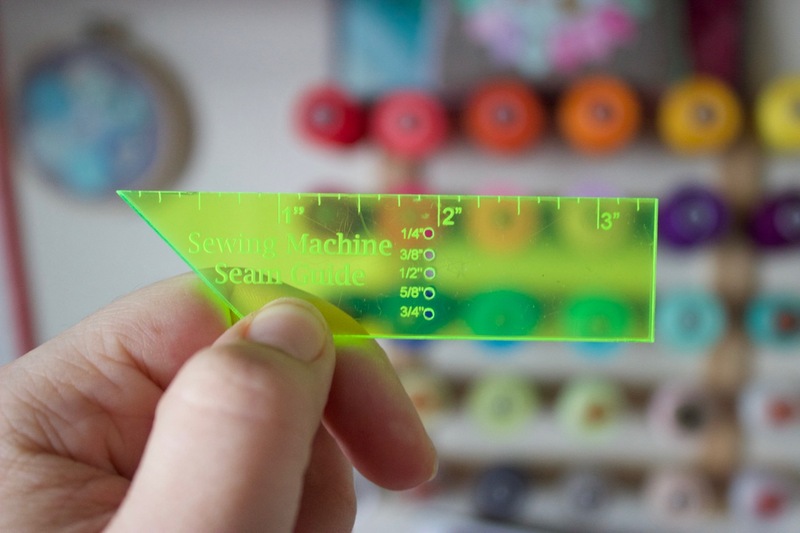 Another notion I can't live without is this awesome Clover Hot Ruler! Instead of just marking lines and trying to fold and press a straight ¼" seam by myself which ALWAYS turns out a bit crooked, I now use the Hot Ruler 100% of the time and my folds are perfect every time. These are useful for bag making, EPP, and more! 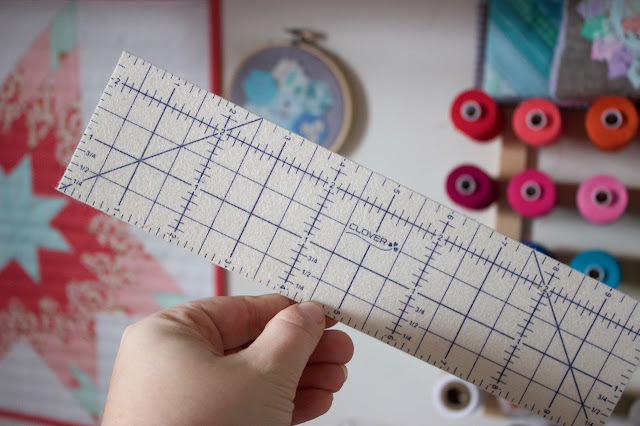 Just mark your line, place the Hot Ruler along the edge, fold your fabric over the Hot Ruler and press! Ta-da! Perfect folds! This isn't your average seam guide. In fact... I never use it as a seam guide! These Quilter's Paradise Machine Seam Guides are perfect for aiding in getting perfect mitered binding corners! Once you've stitched down a long straight edge of your binding and you're about to come to the corner, place the seam guide (angle pointing to the right) on the bottom edge of your quilt. The point should touch the corner where the two edges of the quilt meet. Mark the diagonal line. Once your stitching meets that line, follow it! It gives you the perfect mitered corner once the binding is folded over to the other side. I love this little tool so much because its small (1" x 3" and less than $2.00) and easily fits under my lifted machine foot so I can mark as I sew. 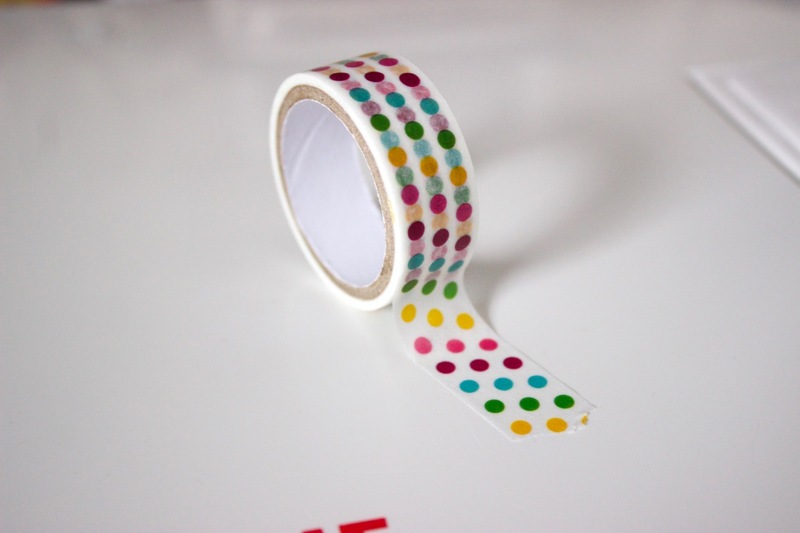 Grab yourself a cheap roll of wash tape, just trust me on this! You can use it for holding things in place during bag making, stitching on vinyl, and so much more. It's sticky but not too sticky and tears away easily, never leaving a residue. Perfect for all the times you need something to stay put but don't want to leave pin holes or glue residue. Alright, this one everyone knows about, but have you caught on to the craze yet? 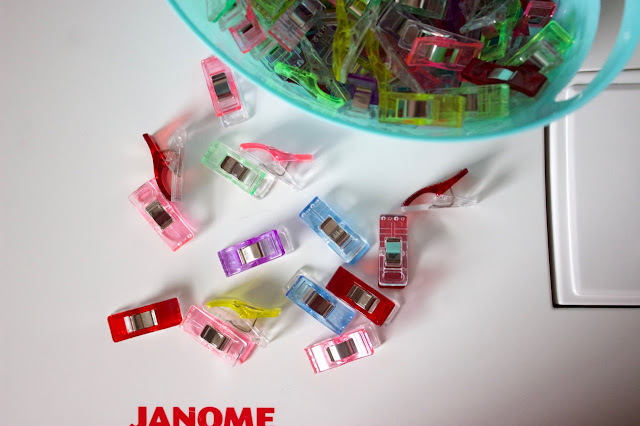 If you haven't, you definitely need to get some of Jen's Favorite Binding Clips ASAP! They have all but replaced pins for me. I use these clips for so many different things. Why Jen's Favorite brand? I have found they hold up much better than Wonder Clips, which often break or fall apart for me. Jen's Favorite brand are much stronger and longer lasting. Even if you don't do glue basting for EPP, you still need one of these skinny glue sticks in your arsenal! I use it every single time I make pouches and bags. 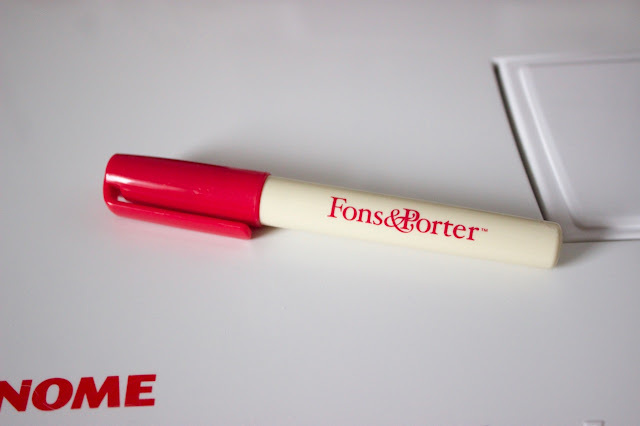 I personally use a Fons & Porter brand, but I'll tell you a little secret - all of the glue cartridge refills on the market (Sewline included) will fit into these pens! I have the refills in pink, blue, and even yellow! I run a thin line of glue along my zipper tape and press the fabrics onto it so they don't slip or bunch up while I'm sewing with zippers. It has improved my bag making game so much! No more wonky zipper tape! Plus it can be used for sticking down appliqué pieces, foundation paper piecing, and more! 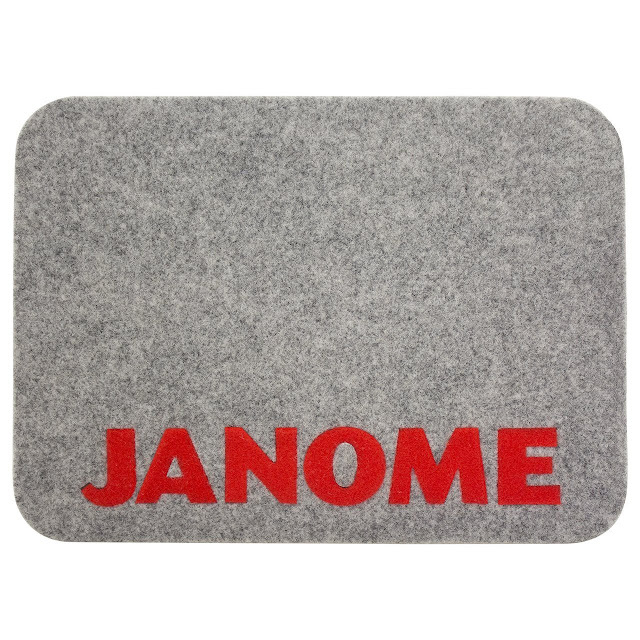 This funky little padded wool Muffling Mat helps cut down on vibration, noise, and slippage from your sewing machine. Just place it under your machine, that's it! I often do a lot of my sewing at night when the rest of my family is sound asleep, so I need the extra noise reduction. However, I've found that I like this mat even more for reducing slippage of my machine on a super smooth surface. That's it! Do you have any favorite sewing notions or tools that you use in unexpected ways? I'd love to hear about them! !